At Hill & Hurtt Architects, we specialize in helping you realize your goals. Whether you are looking to renovate, add-on, remodel, or build from the ground up, we’ll bring your vision to life. With 28 years of combined experience in one of the area’s most respected and reputable design firms, we have collaborated on and completed dozens of projects of various scales and types. 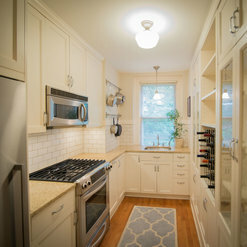 We engaged Hill & Hurtt for our complete kitchen remodel in Bloomingdale. From the initial planning phase, to selecting a contractor, to applying for permits and to overseeing the construction work, Josh and Eric were invaluable. We would highly recommend Hill & Hurtt to anyone considering undertaking a renovation project. During the initial planning phase, we worked very closely with Josh to produce multiple versions of our design, which Josh and Eric refined over the course of several meetings. Josh prepared bid packages for multiple contractors and helped us evaluate each of the responses and negotiate the construction agreement. Once our contractor was selected, Josh accompanied us to the permitting office to obtain our building permit, which was critical because Josh was able to make requested changes to the plans on the spot, ensuring that our permit was issued the same day. Anyone who has spent any time in the DC permitting office knows that you do not want to make a second visit. Finally, Josh coordinated weekly update meetings with our contractor to review the progress of the work and to provide updates to the construction plans. He also kept track of all punch list items that accumulated over the course of the construction. In the end, we were very pleased with the service we were provided and can honestly say that we wouldn't undertake another renovation without the help of Hill & Hurtt. Thank you so much for your review, Paul! We loved working on your project, and would happily work with you again in the future. Working with Josh and Eric was an absolute delight and we'd recommend them to anyone considering a home renovation! 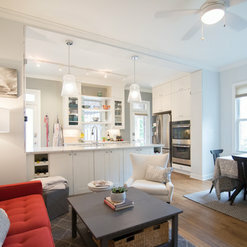 With their help, we were able to reconfigure the living room and kitchen in our early 1900s coop apartment in NW DC. Given our building's history, we were particularly interested in working with architects that would help us modernize our space and also include elements that preserve and highlight our unit's historic charm. Josh and Eric's final design did exactly that and almost a year later I can say we couldn't be happier with the end result. We worked with Josh and Eric from the design phase through the substantial completion of the project. Throughout the process, we found Josh and Eric were extremely flexible, met us where we were, stayed extremely conscious of our budget, and ultimately made our overall experience much more manageable. In particular, we found that they made the city's permitting process painless, assisted us in selecting finishes, helped solicit multiple bids from potential contractors, worked very closely with the contractor we selected to ensure the accuracy and quality of the construction. Hi Blaise - thank you for your detailed review and these beautiful photos. 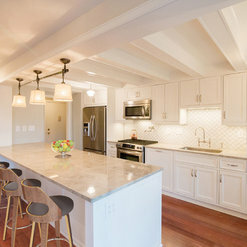 It was wonderful to work with clients who cared so much about the quality of the end product as well as the rich history of your Washington, DC Best Address! As a home owner and contractor worked with both Eric and Josh,great professionals and a pleasure to work with. keep up the good work!!!! 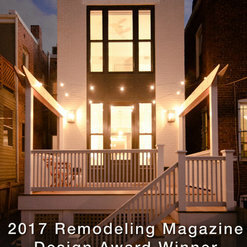 Josh and Eric are great architects who provide good economical design and understand the issues with designing and constructing residential projects in the Washington DC area. Thank you, Wayne. We appreciate the review, and always look forward to our next project with Ehlert/Bryan! In some ways, I felt forced into hiring an architect to present a compelling and well thought out plan to the condo board. However, I can honestly say I was satisfied well beyond my expectations. The construction process came with every type of challenge and obstacle. Josh and Eric helped to mitigate the unexpected, prepare for the predictable, and guide us through these experiences. Our renovation may not have ever succeeded without their help. All that being said, I have a couple recommendations — 1) ask to contract for certain work products to limit the pay by the hour costs. (Please note, they were totally fair with their billing, but it would have helped us to control costs and better plan for costs with more of a contract than hourly payments). 2) Have a rough plan drawn to start just to get the permit and then finalize the plan after demolition. Just make sure that the contractor is willing to give you at least one free design change. 3) Let them help you with contractor management. This is extremely helpful and ensures a quality end product. In short, I cannot speak highly enough of their work, integrity, product, and professionalism. You’d be lucky to have them as your architects as you navigate the potential mayhem of renovation. Thank you for your review, Rainey. We loved working on your project, and you were both excellent clients to have - very involved and interested in the design process. We hope that you enjoy your transformed space and please call on us if you need anything at all! I have worked with and known Josh and Eric for many years. They are talented architects, and have the experience and attention to detail that have lead to many successful projects. I recommend Hill & Hurtt! We have known Josh and Eric for 9 years and finally had a project which we needed to hire an architectural firm. 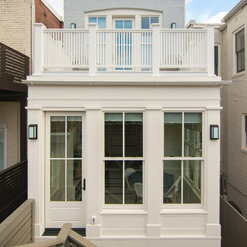 Our basement required underpinning (structural) in addition to the complete renovation. Josh and Eric excelled at listening to what we wanted and offered expert suggestions. They did all the necessary drawings to get a permit and we recently began our renovation. We recommend Josh and Eric highly and if you have any questions please reach out. Thank you for the review, Georgina! We really enjoyed working on your project this past spring, and look forward to the project being finished so that you can enjoy your new space. Renovated my back yard. Hired Hill and Hurtt Architects to draw out the plans. They were great! Would highly recommend them to anyone. Thank you, Lister. It was a pleasure to work with you and we look forward to your next project! Josh and Eric are both very friendly and easy to work with. Throughout the project, they always kept a professional and positive attitude. I explained what I wanted in the house I purchased in the Washington D.C. area, they came up with creative solutions to meet my expectations. I do not know how to read architectural drawings, and Josh would patiently explain the drawings to me in detail so that everyone was on the same page. They know what they do well and put their hearts into it, and the work quality is high. 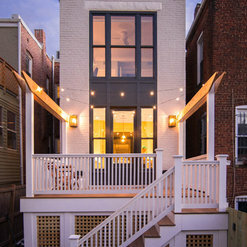 The transformation of my rowhouse was amazing, and I am so happy to have gatherings now to show off my home. Highly recommended. 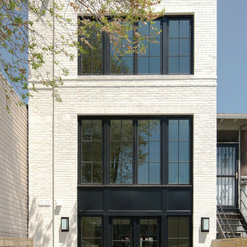 Joshua Hill is one of the most talented, hard-working, professional architects in this city. As a real estate agent, I've referred him to my clients and have had the pleasure of watching him work on their homes. Every single one raves about him and his work. I've worked with other architects; Josh is communicative throughout his projects while others are not. You can't go wrong hiring this firm. I have worked with both Eric and Josh on several projects and I can say without equivocation that you will not be disappointed if you hire them. They are smart, talented, and creative, with great attention to detail. You can rest assured that your project needs and goals will be carefully considered and that your project will be well-managed from conceptual design to implementation. As other reviewers have mentioned, they are also genuinely very nice people that have a great report with both clients and builders alike. I would hire them for my own house in a heartbeat. I had the pleasure of working with Josh Hill and Eric Hurtt for many years on projects from small additions to large complex renovations. Their dedication, enthusiasm, and diligence was evident in the way they approached each one. 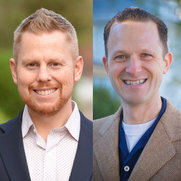 Eric and Josh are individuals with much creativity and integrity and it is exciting that they have joined their talents together in a new firm. I know them to be fine architects and recommend them and their work wholeheartedly. Commented: I love this light fixture, where is it from?Thanks for your question. The pendant light is the Ripple Glass Pendant from West Elm. Commented: What are the Dimensions of the kitchenThe overall space is approximately 12 feet wide by 16 feet long. Commented: Where can I find the parts for this railing system?Hi, Nancy! We have the name of the company and will respond to your email from yesterday.